For 89 years, founded on "humanity and kindness" (High River Times), the Snodgrass Family has served the people and communities of southern Alberta. 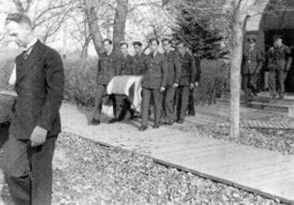 Edgar Lyle Snodgrass was born in Hampton, New Brunswick, and moved with his family in 1910 to the farming community of High River in southern Alberta, where his father William managed the Lineham Lumber Mill. 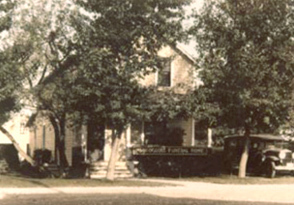 E. Lyle apprenticed at Shaver's Funeral Home in Calgary before returning to High River to open the Snodgrass Funeral Home in 1929, which he operated with his wife Helen until his death in 1960. 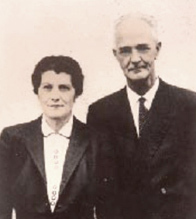 Helen alone continued the business successfully until 1965 when she was joined by her two sons, Robert and Larry. E. Lyle's legacy, however, lay with more than just the business. Indeed, over the years each member of the Snodgrass family has demonstrated a unique dedication to the communities in which they live and work, making valuable and enduring contributions. 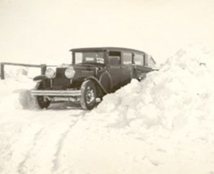 For example, Lyle, and later his two sons, ran the area's only ambulance service "throughout a wide territory between Calgary and Lethbridge and through the years was on call on many charitable errands of mercy." (High River Times). All family members have served their communities through organizations such as the High River and Okotoks Rotarians, High River United Church, the High River Hospital Foundation Board, and High River Town Council which Robert was serving on as Mayor of High River until his passing in 1987. Snodgrass Funeral Home has been awarded various high distinctions including the Robert Snodgrass Award from the Alberta Funeral Service Association, which recognizes "the highest standards of professionalism". As well, both Larry and Lee Anne have served as Presidents for the Alberta Funeral Service Association. Today, the business continues to be a family tradition. Larry and Marge Snodgrass continue as the owners, while their daughter LeeAnne manages all three locations. As well, Snodgrass Funeral Homes also have a monument division (Parklawn Granite and Bronze) which is managed by Marge and Larry's son Phil. Snodgrass Funeral Homes have also taken a great amount of pride in all of their employees, many of which have been with the company for a number of years and have become an extended family. Together, the staff of Snodgrass Funeral Homes, continue to maintain the highest standards of excellence in service to the families and communities they serve. For 88 years, founded on "humanity and kindness" (High River Times), the Snodgrass Family has served the people and communities of southern Alberta.